Once a signed sales contract on your home has been reached, it moves into escrow and all the behind the scenes work begins. Escrow is a neutral third party that holds funds and disperses them to the various parties with, and only with, the proper instructions from all parties. The escrow transactions can be fairly complex, so we will handle all the details for you and keep you informed every step of the way. The buyer will be ordering inspections and we will be there to attend and advise the home inspection contractors. 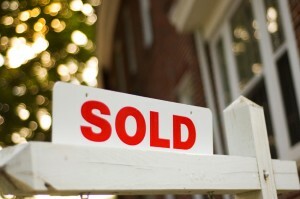 We will monitor the Buyer’s loan process and coordinate the lender’s appraisal of the property. The city of San Francisco requires specific inspections paid for by the seller during a real estate transaction to comply with local law. We will also cover other state and federal disclosure requirements to protect you after the sale. subsequent delivery of the property to the new Buyers. Following the closing, you will receive a final settlement statement for your records that clearly illustrate all fees paid by you to close the contract. Please feel free to contact us at any time during and even after the sales process with questions and comments. Our knowledge, attention to detail, and constant continuing education will ensure a smooth transaction in the quickest time possible. California Real Estate Laws are always changing. Let JZMax Realty guide you and help you every step of the way.